Montessori works in every setting for the success of each child. 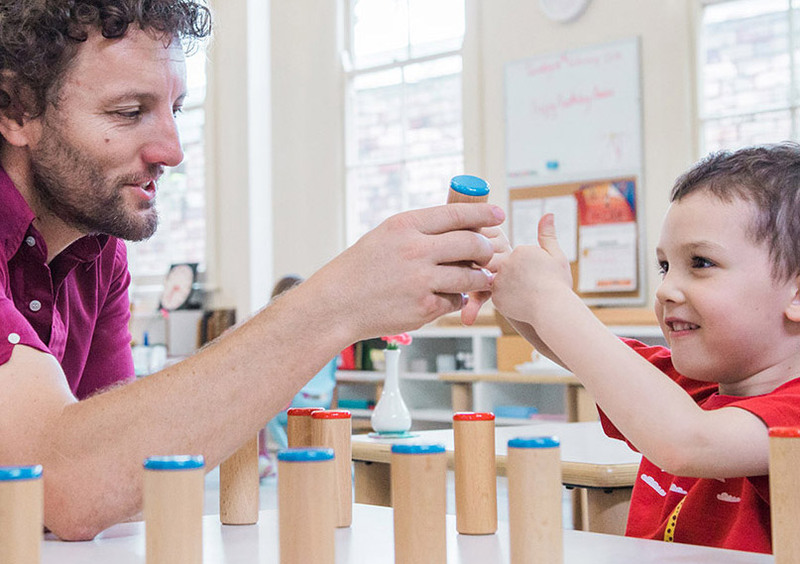 Montessori teachers support children’s natural development, fostering their capability to become productive, fulfilled adults who contribute to the world. Montessori helps develop children who are morally, emotionally and behaviorally prepared for the real world. Montessori teachers help children follow their interests and passions to develop strong skills in academics, leadership, self-discipline, responsibility, independence and initiative. The Association Montessori Internationale accredits training centres throughout the world. These centres offer AMI diploma courses which are internationally recognised for their high standard and authenticity. Training centres accredited by AMI remain under the constant supervision of AMI, are staffed by AMI Teacher Trainers and each course is examined by an external examiner appointed by AMI. Every AMI course is conducted by an AMI trainer. These dedicated trainers have extensive teaching experience, an academic background, have participated in a rigorous Training of Trainers Program and possess in-depth knowledge and understanding of Montessori principles and practices.